We have had a fascinating week here in the holy land after landing in Tel Aviv last Sunday. We spent the first half of the week at the Bezalel Academy of Arts and Design working with students in the Glass Department. Israel is a small country and their glass community equally small. We spent three days working with students to share our knowledge of our craft and the results were visible immediately. We met with such an unbelievably warm and generous group that it was hard to move on when the workshop was finished. After a night of camping at the Dead Sea with some students, we were off to Hebron on Friday. 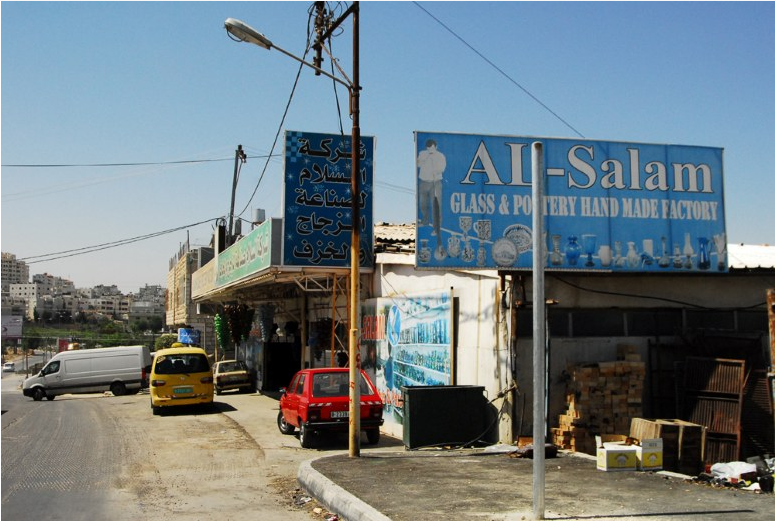 We have been here two days now and have had the chance to work at the Al Salam Ceramic factory and have also had a chance to explore the old city of Hebron. I cannot impress enough the hospitality that we have found here. Whether it is an invitation for tea or just a passing story, the Hebronites are nothing but warm, hospitable, and generous with their time. Our filming has been going well but not without a brief interruption from the Israeli military yesterday afternoon: It seems that there was a military checkpoint in the background of a number of our photographs. It is hard to avoid that here. 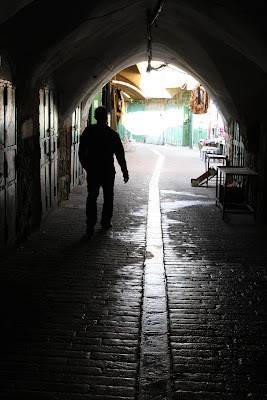 The day that we arrived (Friday) the city of Hebron made international news. Our director of photography, Tan Kurttekin has been doing a masterful job weaving together a story of glass in the Holy Land and we have discovered so much more than we could have ever expected. Often times with a project like this, the result can change drastically from one's original concept because of the logistics involved. So far, we have asked for so much and received everything more. Stay tuned!